A selection of your pictures of Scotland sent in between 5 March and 12 April. Send your photos to scotlandpictures@bbc.co.uk or via Instagram at #bbcscotlandpics. 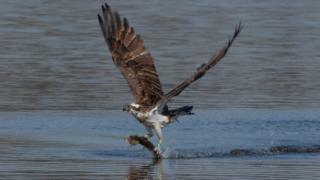 Image caption An osprey heads back to its nest with its catch from Loch of Kinnordy. The photo was taken by Bill McLean from Peterhead. 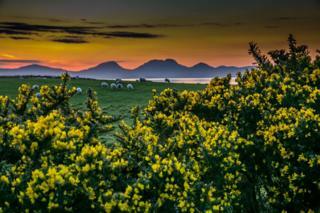 Image caption The Paps of Jura look sullen between the vibrant gorse and glowing sunset. This photo was taken at Kilberry by Brian Cuninghame, on holiday from Queenzieburn. Image caption Oscar and Roo took a holiday on Skye from their home in Ayrshire. 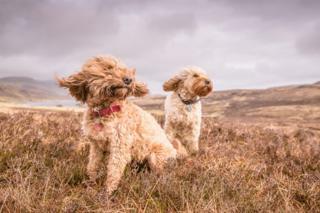 Their owner Ross Wilson captured this image of them enjoying the bracing wind on the moors. Image caption Matthew Martin took this picture during an early walk up Ben Donich in Argyll and Bute. 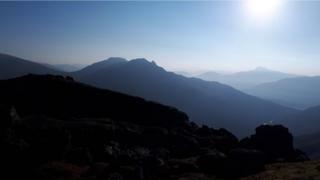 The Cobbler, the Arrochar Alps and Ben Lomond are in the distance. 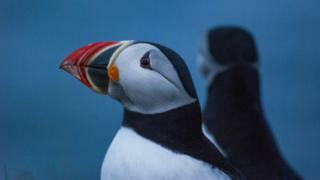 Image caption Ross Mason took this photo at Sumburgh Head of a puffin returning for the summer. "We had to visit four times before we saw them but it was worth the wait," he said. 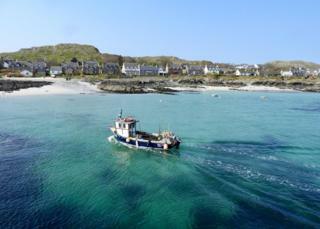 Image caption This photo of was taken on a day trip to Iona via Mull by Fiona Mackinnon, of Strachur. 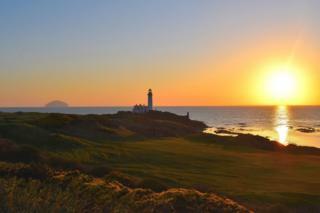 Image caption This picture of Turnberry Lighthouse was taken by Cat McKenzie as the sun set on Wednesday. Ailsa Craig can be seen in the distance. 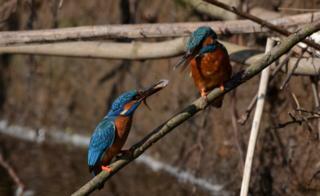 Image caption These two feeding kingfishers were photographed by Lorne Kidd by a river at Livingston, West Lothian. 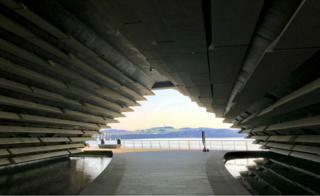 Image caption Roy Whittaker, from Larbert, said he couldn't resist taking this picture of Dundee's V&A Museum architecture reflecting off the water and framing the River Tay. 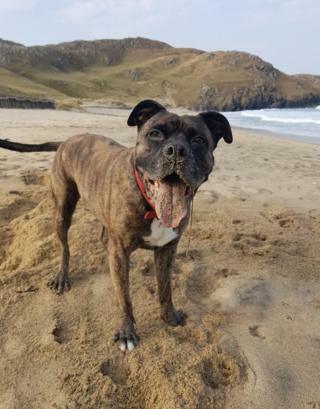 Image caption Dawn Farrell's dog Ty enjoyed a morning on Dalmore beach on the Isle of Lewis during a trip from Croftfoot in Glasgow. 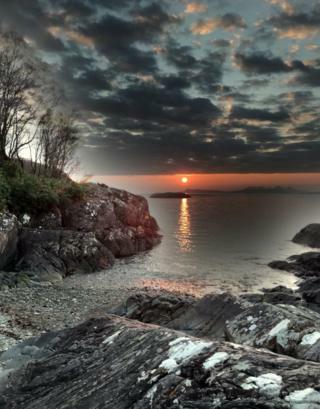 Image caption A dramatic sunset over Loch Ailort taken by Stuart Allan from Roshven, looking out towards Eigg and Rum. 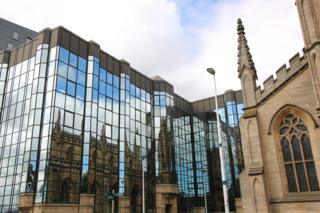 Image caption Maureen Campbell from East Kilbride enjoyed this contrast between old and new in Glasgow. 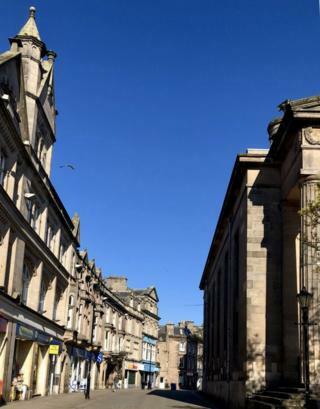 Image caption There was wall-to-wall blue sky above the striking architecture on Elgin High Street, taken by Kerri Duffy from Forres. 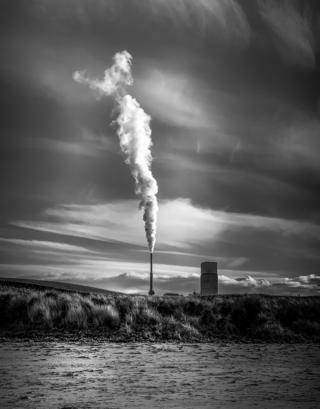 Image caption Neil Rapson from Bonnyrigg took this photo of Dunbar Cement Plant in East Lothian from White Sands Beach. Image caption Marlies Mallon from Westknollendam in Holland was "stuck in traffic" near Applecross. 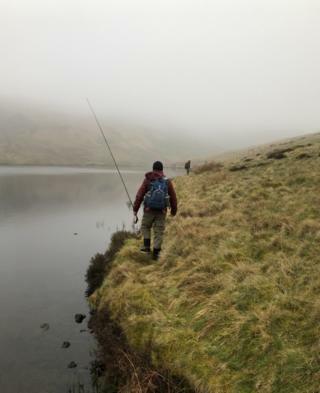 Image caption Anas Raza sent us this photo from his fishing trip to Loch Humphrey in the Kilpatrick Hills. This image was taken at Greenside Reservoir. They "witnessed amazing surroundings", he said. 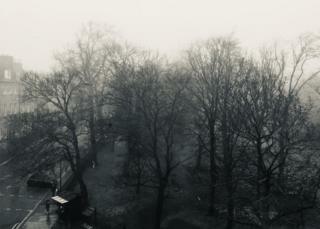 Image caption This view of George Square was taken from a window of the University of Edinburgh library. Kwanravee Wangudom, who took the photo, said: "I showed it to a friend and he said 'Alfred Stieglitz could have taken this in NYC in 1900'." Image caption Daniel Finnigan from Blantyre took these photos just past at Seacliff Beach near North Berwick. "Some might say it wasn't a day for the beach but I feel like the grey skies added to the beauty of these photos," he said. 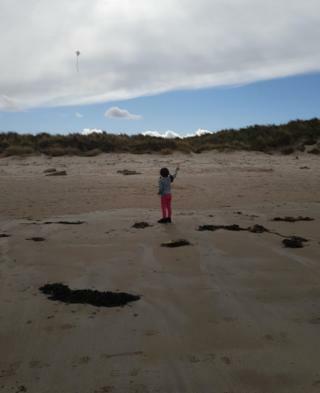 Image caption Six-year-old Aimee enjoyed flying her kite on Lossiemouth beach on a recent family holiday. Her father Paul Bradley took the photo. 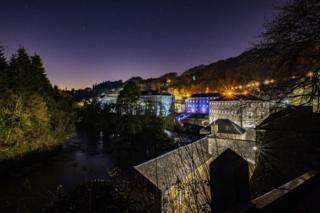 Image caption Christopher Tollan, of Wishaw, went to New Lanark because the weather was so good. He said he got this stunning capture of the historic site "in a way I've never seen before". Image caption Enjoying another kind of good weather was Pamela Cruickshanks and her friends Debz and Alice. They climbed Meall a' Bhuachaille in the Cairngorms as part of an altitude training camp. 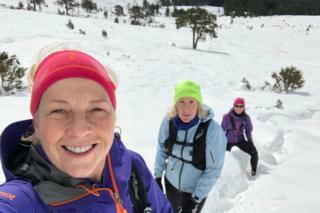 "The snow was waist deep in places and the view was amazing," Pamela said. Image caption Bill Cameron ran up Ben Nevis before breakfast on 12 April. 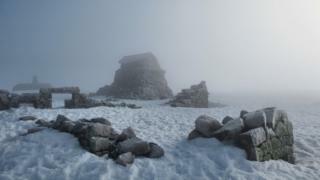 He took this photo of the remains of the old weather observatory on the summit, just in time for submission to this week's gallery.